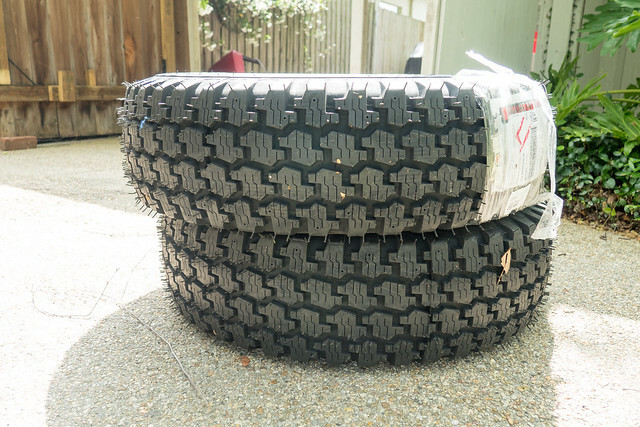 After lots of thinking and reading about all the sweet MTs/ATs that everyone on here runs I made the tough decision to pull the trigger on literally the most inexpensive tire I could find... 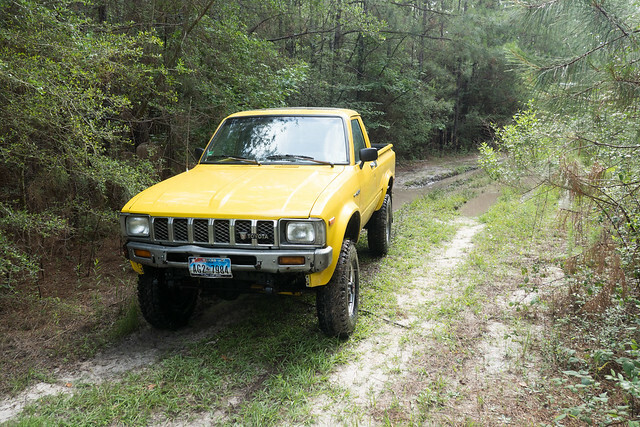 It was a tough decision but living in South Louisiana there aren't any trails to run within ~4h and going "off road" down here means basically driving into the Gulf of Mexico. Very sad I know. Additionally, i'm running stock gears and don't plan on upgrading any time soon AND have stock 15x5.5 rims that I dont want to upgrade right now... Stock it is until something breaks or necessity warrants an upgrade! Maybe some of you will use this review to decide whether or not to run these on your trailers. 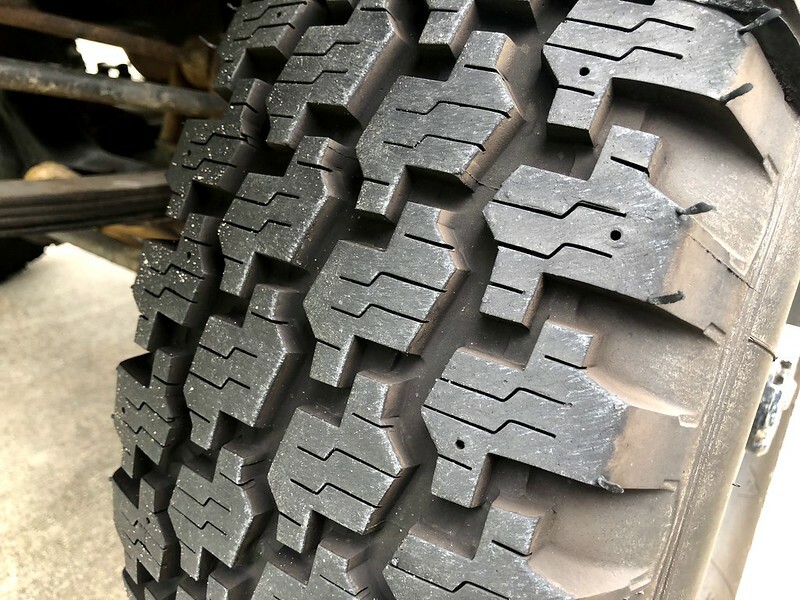 Basic, generic A/T tread pattern. 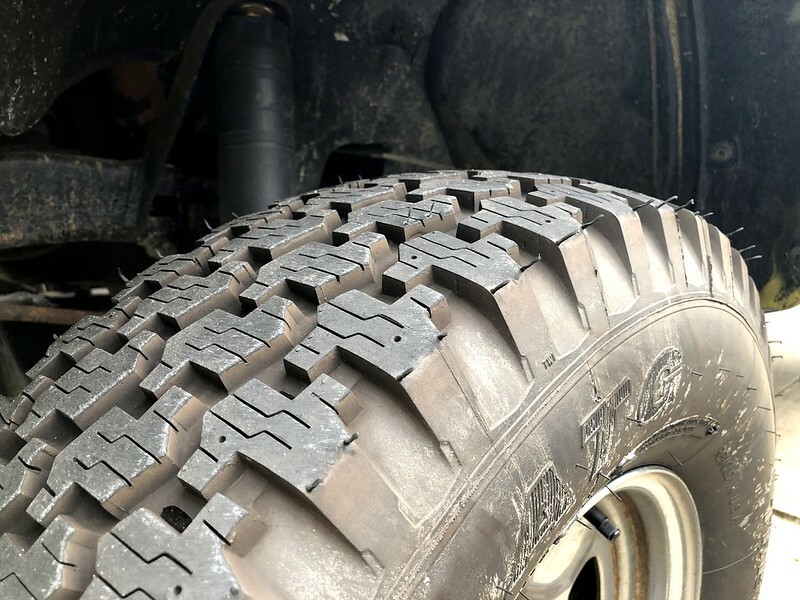 No aggressive sidewall treads. 6 ply so can hopefully take a hit from an alligator without getting smoked. 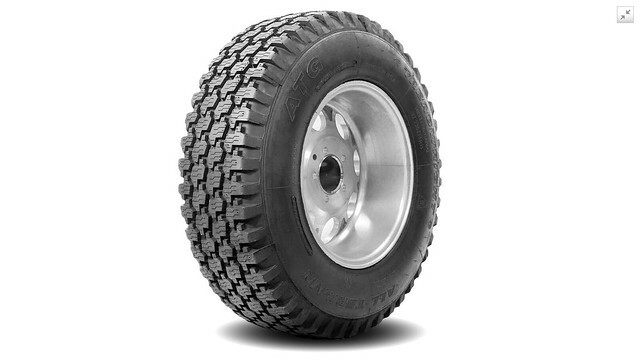 Pricewise, some of you may be wondering how inexpensive is this tire? In my opinion I could spend that extra $223 on a nice front bumper or winch or ice cream cone for my daughter or something. Hopefully I don't regret this but if I do y'all will know about it. That's OK these little pickups tear it up with dinky tires. 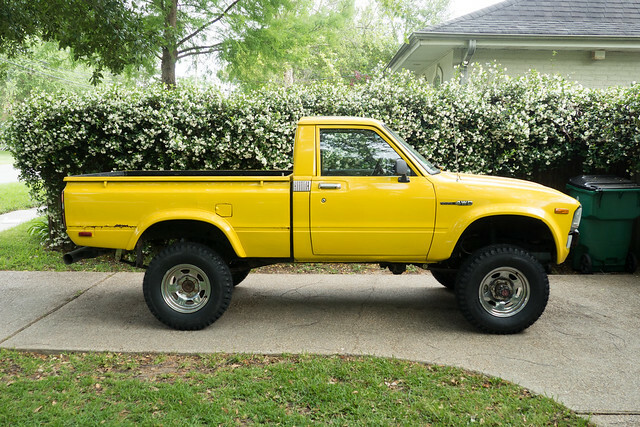 I could smoke more than half the way through 2nd gear and get 22 mpg with stock size tires on my '80. Alright got em delivered/mounted up today at the bright young mileage of 180,204. Lopsided rake may have been due to the fact that I had my spare on the front left and that is a 31? Either way looks much better... Most weight it took to balance was 1.25oz so that's good. Better than I was expecting from a remold. Think they'll get the job done. So as I was taking pictures I noticed some fat chicken strips on all the tires (see below) that screamed "hey i'm wayy too over inflated!" There will be an offroad component to this review at some point I promise. Also, due to a crack in my timing chain cover I don't think I'll be racking up the miles any time soon but will update as fun/interesting stuff happens. 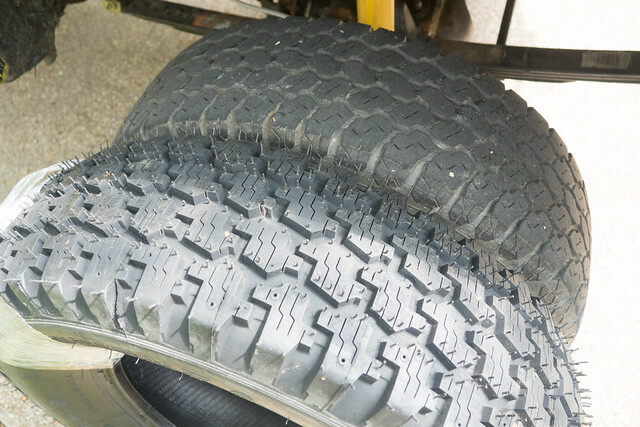 Oh yeah tread depth... Center of each tire measured ~9mm. Measured 11 1/2 mm - 12 1/2 mm on the far outside. Up to about 250 street miles on these tires and have no complaints so far. Fairly quiet, seem well balanced and behave themselves on my 28mi commute to work where I am cruising around 60mph. 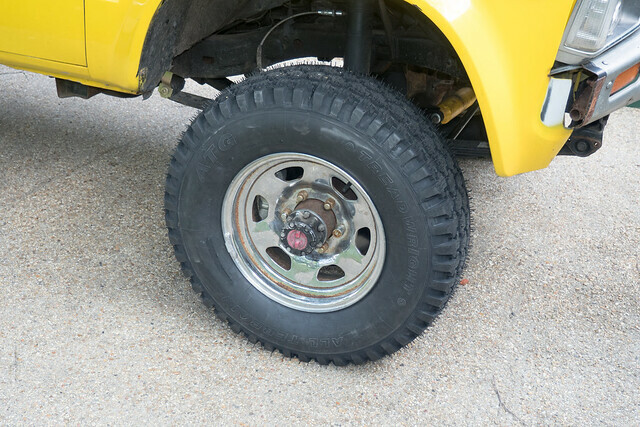 Tire fuzz seems to be wearing off faster in the center of the tire, and they do look a little round on the 5.5in stock 15's. Need to pop one off the truck soon and take some pics. My company is putting up a new building and I went to go check out the site this morning. Nice little trail leading up to it with some muddy ruts. Mud was this gray silty stuff that seemed fairly well packed at the bottom of the ruts. A few were pretty deep but nothing serious. 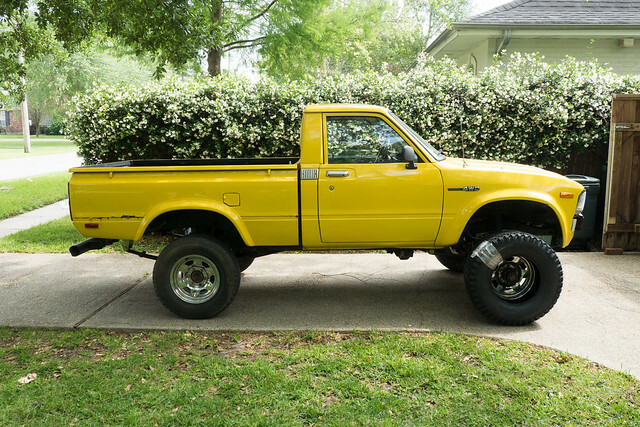 Piece of cake for this old yota. Put it in 4 Hi just to get the gears turning but probably didn't need it. 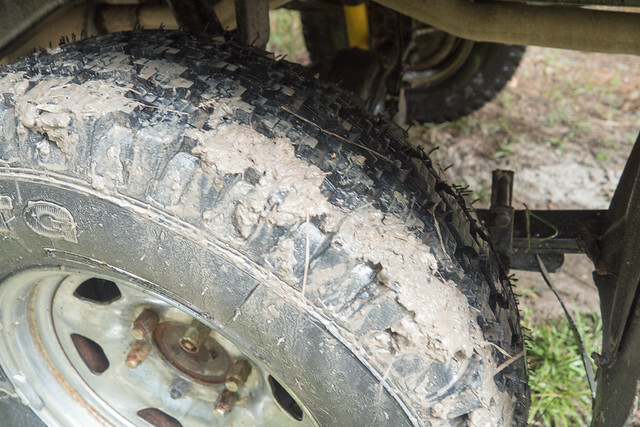 As for the tires they never lost traction and didn't seem to pick up much mud. Although this stuff wasn't very sticky to begin with. 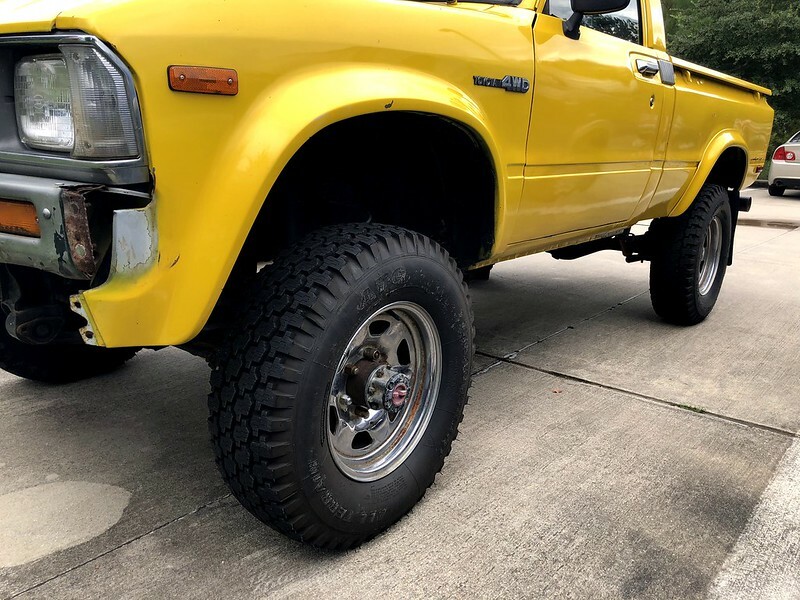 I think I'm going to put smaller tires back on my '80 when I rebuild it. All I ever do with it is work truck duty and towing, where smaller is better. I don't even think a 1st gen looks bad with small rubber on it. Took a while as I was carb tinkering alot, but I finally racked up almost 1,000 miles (all street) on these tires. I figured I would post some pics. Tires still look brand new. 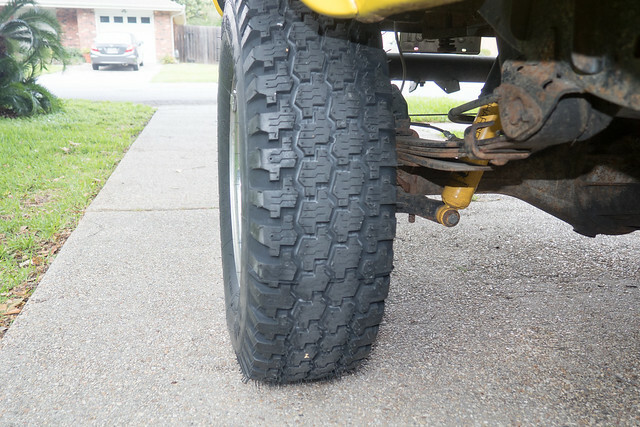 Will properly measure tread depth/wear at some point soon. And they have for almost 30 years. I've gotten many toyotas with them on it. 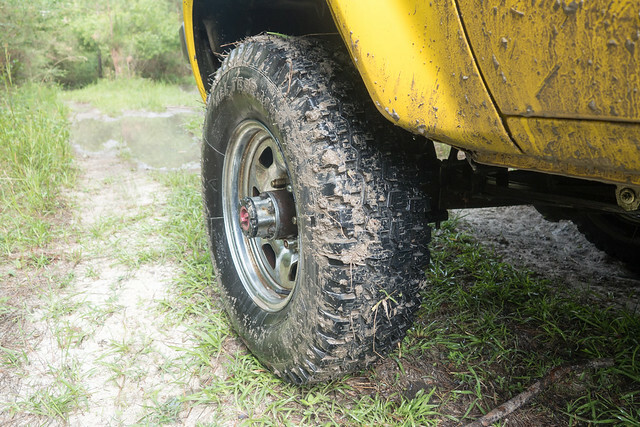 Great tires. Actually have a set for rollers at the house. 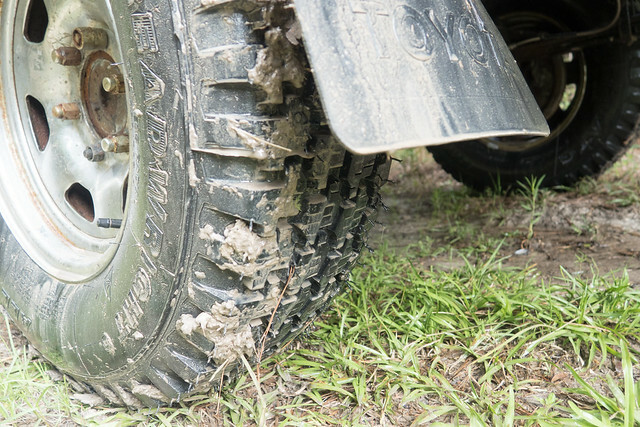 CHEAP TIRES: Which is best for CHEAP?